Home » »Unlabelled » Lemonade, Henna and Delicious Desserts! 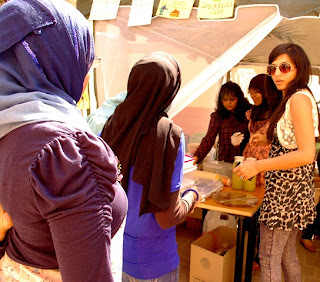 Lemonade, Henna and Delicious Desserts! The appealing chocolate muffins, colourful pots, intricate tile work and much more were on offer at the Souq Carnival held on Day 6 of the ‘Week of Welcome’. Various universities and companies gathered to exhibit and sell their merchandise at the Dubai International Academic City (DIAC) campus. 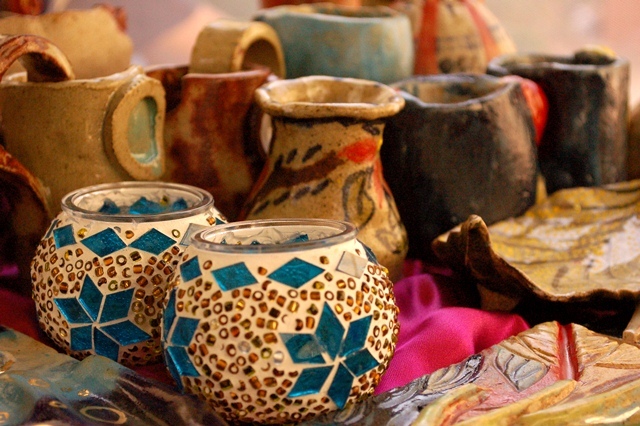 Manipal University’s Department of Interior Design had a stall showcasing students’ handcrafted items. 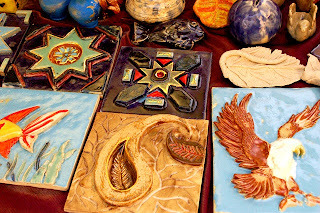 Pottery, tile work, paintings and other student projects were kept for sale. Many third year students specializing in Product Design and a few second year students joined together to display their pottery workshop articles for sale. 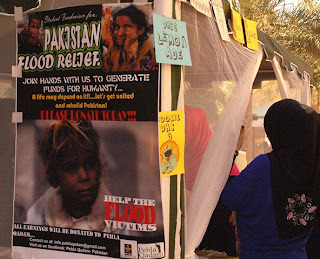 All profits are for ‘Pehla Qadam’, a charity initiative by four Manipal University students from Interior Design, for the victims of the recent floods in Pakistan. Sumeira was glad of the attention it gained during the Souq Carnival. People showed interest in promoting ‘Pehla Qadam’ through their universities. They were excited at the perfect chance of furthering their noble cause through the event. The Souq Carnival also had other stalls and a DJ playing to keep the crowd entertained.